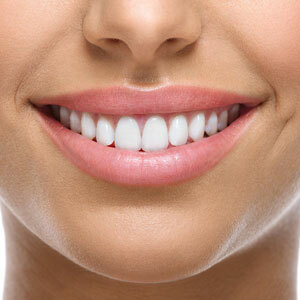 A healthy, beautiful smile is one of the best accessories you can wear. With Invisalign, our Mt Gravatt East family dentist can help you make a lasting impression in your personal and professional life. These translucent, removable braces are the perfect investment if your misaligned teeth have been a hindrance in reaching your full potential. It’s never too late to straighten your teeth. In fact, investing in Invisalign can help you to reduce the risk of tooth decay and gum disease, both of which are closely linked with a misaligned bite. Plus, straightening your smile is a great way to enhance its appearance without additional treatments like veneers or crowns. Each BPA-free aligner is translucent, so that no one has to know you’re wearing braces at all. Invisalign® is the industry leader in clear aligners. When you want to confidently enjoy the benefits that straight teeth have to offer, these adult orthodontics are the perfect solution. Now you can straighten your front teeth, with Invisalign’s i7 line of clear braces. This system is a minor tooth movement alternative that provides you with straighter looking front teeth in as few as three months. They cost less than half the price of comprehensive Invisalign, with the fast results that you’re looking for. Although they work just like conventional aligners, they only address the teeth at the front of your mouth, making the process much quicker than normal. Are you a candidate for Invisalign®? Schedule a consultation today to get a customised care plan and estimate of how long treatment will take.